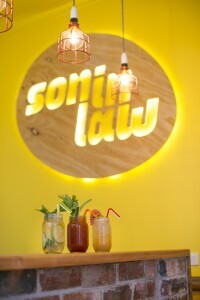 As soon as you step inside the recently opened Thai street food restaurant Son in Law, you experience the vibrancy of Collingwood through the bright, bold and energetic design. The playfully contrasting décor demonstrates the son/mother inlaw relationship. The traditional and free mix together in an exciting and ultimately harmonious melting pot. The bright colours continue in the kitchen with Thai-style plates and bowls. What happens when the infamous in-law relationship fuses? 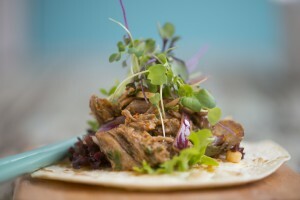 An array of contemporary street food emerges, while paying homage to traditional flavours and ingredients. Street food dishes like deep-fried spiced chicken ribs with nam jim jaew and the minced pork and prawn rice paper rolls with mint, coriander, tangy tamarind sauce and crushed peanuts are just a few of the fresh and exciting dishes being served up. 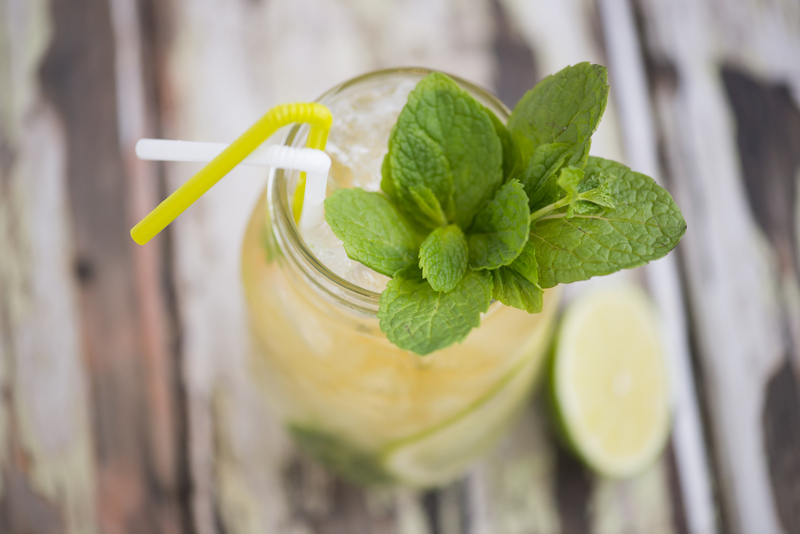 Customers are invited to indulge in the drink menu at Son in Law. Choose from eight different cocktails, some of which are a twist on classics. The Spicy Bloody Mary combines a hint of Sriracha sauce with the classic ingredients, while the PP island ice tea is made up of Kaluha, Sang Som Thai rum, brandy, Frangelico, Whiskey, bitter and ginger beer. The beer selection includes Thai options as well as Singha and local beers. Even the alcohol-free options are delicious, including the traditional Thai ice milk tea or Thai ice coffee which offer a full Thai dining experience. To top off the funky design and tasty drinks is the masterpiece known as the marshmallow and Nutella Pastry Puff. Covered with raspberry, crushed cashew nuts and vanilla ice cream, this mouthwatering dessert is as good as it sounds and completes a fantastic dining experience. Collingwood locals have begun flocking to Son in Law to enjoy creative street food and complementing cocktails. Owner Tony Rungpraddit says: “Our vegetarian dishes have been just as popular as the meat, with the sesame tofu being a firm favourite.” The menu boasts an exciting mix of traditional and contemporary, with the crispy soft shell crab and tiger prawn green curry and the twice cooked pork belly with chilli jam being too good to resist.